Earlier this year i was very honoured to be invited by Guitarist magazine and Marshall Amplification, to demo the new Yngwie Malmsteen signature amp, the YJM100 head.As both an avid Marshall fan and with Yngwie being one of my earliest influences, i jumped at the chance to put the amp through its paces! 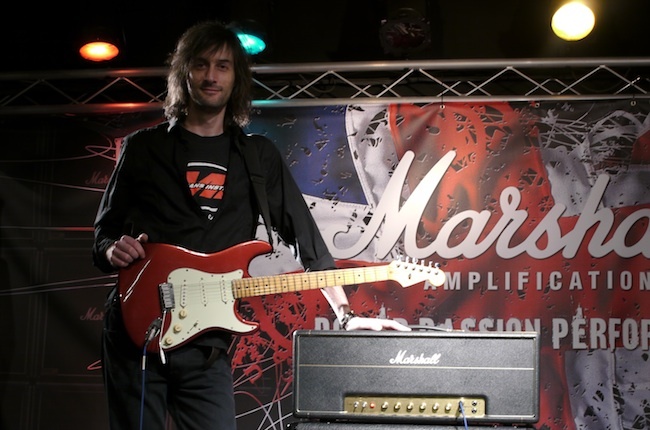 In late March i went up to the factory in Milton Keynes for a full factory tour, road testing the amp on Marshall’s legendary live stage alongside international demonstrator Chris George. I used a 1988 Fender Yngwie Malmsteen signature strat and my Ibanez RG8570 DR to invoke the fury! The amp features two channels and a built in attenuator, which allows the amp to be cranked full on while being played at lower volumes, check out the spec here! The amp delivered a full range of authentic tones from clean to classic rock crunch through to high gain metal and amazed everyone that heard it. Highly recommended not just for fans of Yngwie, but as an amp that delivers a full spectrum of classic and modern rock tones. 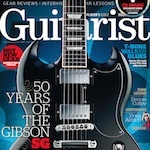 The tour and demo were filmed to be included with the June 2011 issue of Guitarist magazine. Rock! This entry was posted on Friday, May 27th, 2011 at 2:59 pm	and is filed under News. Responses are currently closed, but you can trackback from your own site.